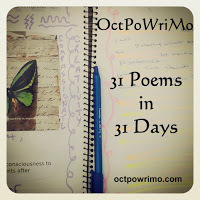 Dear reader, day 26 of #OctPoWriMo has us confronting our fears, writing about what scares us. There are many things I fear. I fear rejection by my peers, by the poetic community, by friends. I fear things that I simply will not share with anyone but my wife, I fear stubbing my toes (a curse of big feet). I have serious fears, debilitating fears and silly fears. And it is the silly fear that I am writing about today. Once in a while, my wife and kids will go to spend a few days with her parents, and I am left alone at home. I hate it. I hate every moment of an empty house. I especially hate the nights. Will you laugh at this piece, or rather, laugh at me for this piece? Possibly. I don't fear that, for I am writing this in the light. And my wife and kids are by my side. Please enjoy. (only for a short time). Fortunately no-one was there and it was just my silly mind playing tricks on me, but it CAN be scary, definitely. Thanks for sharing your story! I can totally hear 'police-movie music' playing as you peek around corners! Thanks for stopping by! thanks Zoe! I have to admit that the line you quoted is my favorite too! 'Preciate you stopping by!! Ah. yes. I know this feeling! Well written, Rod! I too loved the line about the hair dropping. Well written, and well done for sharing this with the open world! Not laughing here! You describe a feeling that is all too familiar. Well done!